When looking at Corona del Sol’s boys basketball schedule before the season, many games and tournaments stood out. The team leaves for Hawaii this Thursday and can end up squaring off against the likes of national power houses Findlay Prep (Nevada), Oak Hill (Virginia), and Mount Vernon (New York). They also matchup against out-of-state opponents in the Visitmesa.com tournament held at Mountain View begining Dec. 27. When looking at the schedule, no weekend would prove to be more telling of this year’s squad than this past weekend was. The Aztecs faced a gritty Cesar Chavez team Thursday night. 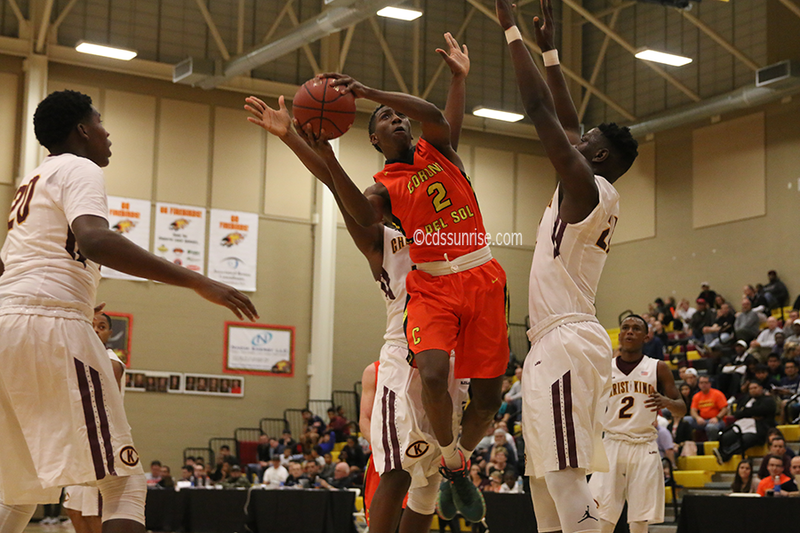 Friday brought the beginning of the Hoophall West, in which the team faced off against Moreau Catholic (California) and Christ the King (New York) Saturday afternoon. 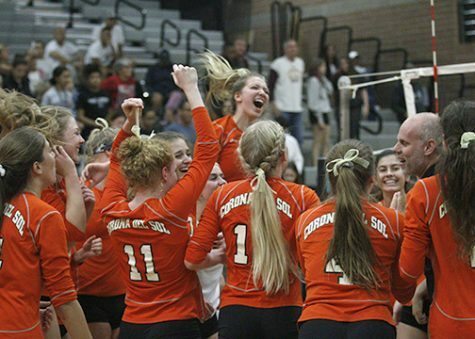 For any team, playing three games in a row is hard and it is unlikely you will see a team improve as much as Corona did throughout the three games. The Aztecs had a week to get ready for the long weekend, as they first welcomed the Champions into Tempe. Both teams got into a rhythm offensively about halfway through the first quarter, and neither team looked back. The Aztecs went into halftime up, 42-35. The Champions came out with a passion that was not seen in the first half and came storming back in part to a few Aztec miscues. Corona saw a five point lead with 55 seconds remaining slip away and even giving the Champions a chance to win it on a last-second layup that came up just short, gave the Aztecs a 90-89 victory. The Aztecs went into Friday night’s matchup under the bright lights of the national tournament facing off against Moreau Catholic. The Aztecs beat Moreau Catholic with ease, 99-67, thanks to 28 points from game MVP, Alex Barcello, and a breakout performance from senior guard Jordan Guy, who ended with 23 points. The following day, the Aztecs faced Christ the King in a game with three Division 1 commits. Both teams battled the game out, going tick-for-tack until halftime. The Royals went into the half up, 41-36. The game trend continued throughout the third quarter, with the Aztecs trailing, 58-55. The Aztecs finish strong, and beat Christ the King, 84-74. Coach Neil MacDonald was elated with the play of the team throughout the tournament. Senior guard Saben Lee had a very active role throughout the Hoophall tournament. Senior forward Josh Onwordi had an outstanding defensive night against Christ the King.